Since it’s summer and I was a former lifeguard, I don’t like to keep myself cooped up in the house when the weather is decent. While this is great for my pasty white complexion, it’s terrible for my video gaming. Thus, progress on gaming has been slow, but I’ve managed to play a few things over the past week or so. Let’s get the simpler one (not worse one) out of the way. Shovel Knight is awesome. 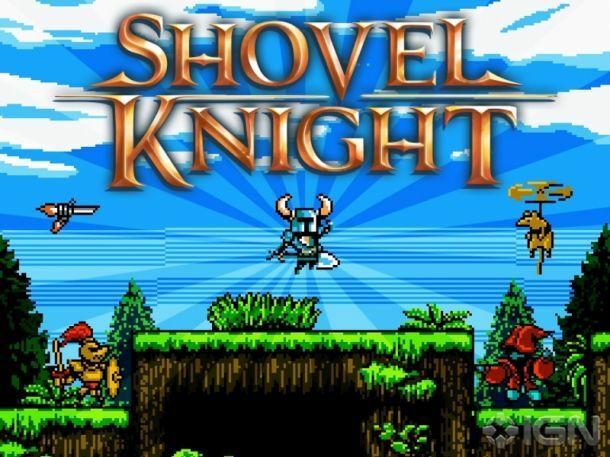 If you don’t know, Shovel Knight is a 2D platformer in the style of games released in the late 80s and early 90s in the NES/SNES era. You play as the titular Shovel Knight, on a quest to defeat the Enchantress and possibly reunite with his lost love, Shield Knight. In a word, this game has charm. From the nice throwback visuals to the very strong sense of humor, this is a game that keeps calling me back. I’ve not finished it yet (see above comment on being less pasty and white), but I can’t help but smile whenever I play. I almost don’t want to see the end, because that means that the quest is complete. Gameplay is probably closest to a non-Metroidvania Castlevania game. You run to the right, swinging your shovel as your primary attack, and use items that consume magic points. You keep going until you reach the boss, which you fight, defeat, and move on to the next level. There’s even turkeys hidden in the walls before fights. And like Castlevania games, this game is hard. You have to navigate deviously designed platforms, often while attacking/dodging enemies, and one wrong step can spell death. Fortunately, the game does not use the life system, and in a clever turn, you are punished by death by losing money. When you die, three bags of coins pop out of your corpse, and you can return to that area to claim them. Sometimes, that money gets stuck in bad situations, and you may find yourself dying trying to get the money back. It’s a great system though, because it doesn’t make death meaningless, but it also doesn’t make death heart-wrenchingly punishing. I like it a lot. And yes, you will die. I haven’t had a game make me this angry about dying in a long time. I’ve slammed my WiiController-Tablet-thing a few too many times playing. This is because each death is my fault. There are no cheap deaths in this game. Only you failing to overcome a challenge. It’s completely fair, and all the more anger-inducing because of it. In a word, I love it. Now, let’s move on to Gone Home. I got this game during the Steam summer sale for five bucks. I knew very little about it, primarily by choice. I knew the game’s central premise (you come back to your house after a summer abroad to find it empty and you need to figure out where everyone is), and I knew that it caused controversy from some not labeling it a “game.” Other than that, I avoided discussion of the game, because I knew that story was the game’s selling point and that if I ever got to play it, I wouldn’t want to have it spoiled. I won’t go into spoiler territory, as this is one of those games that is so much sweeter when you know next to nothing about what to expect. Instead, I want to talk about the game in a broader sense, and how its design works in its favor. Gone Home is the epitome of game design where you get as much as you put in. You can burn through the game in probably an hour if you rush, but if you do, you won’t get nearly as much out of it as someone who spent 5 or 6 hours in it. Granted, it’s not a long game, but it’s a game that seems to beg for slow methodical play. Every item you find almost demands to be interacted with directly and thoroughly examined. Every room calls your name, asking you to find its secrets. And the more secrets you find, the richer the story becomes. There is a central story, one that is quite clearly played out when you play. But more stories are unearthed as you delve deeper. You learn about the family through the items you find, you come to feel that they are real people and that you are really exploring their house. You learn their stories, their interests, their lives. It’s pretty amazing, actually. But my favorite part? None of the game experience is orchestrated. Yes, the items are placed in such a way that you will likely find them in a certain order, but you are just as likely to pass over something. But the game doesn’t care if you miss something. It will less you pass over much of the items in the game world. This goes back to something I discussed in a past blog about cutscenes, but Gone Home seems to take that idea to an extreme. It doesn’t care if you examine every item. You can complete the game without doing so. It doesn’t force emotions on you. It doesn’t say “Here’s a scary scene” or “Here’s an exciting scene.” It merely presents things to do, and lets you, the player, decide how to feel about them. It would be very easy for the game to force you to examine every item, and then tell you when you’ve found everything. Or to not let you move on without finding everything. But it doesn’t. It merely presents its story to you, and expects you to enjoy it as you see fit. 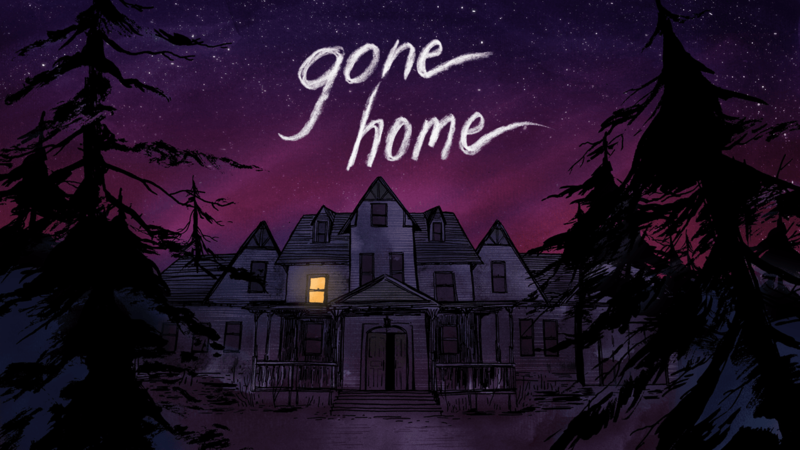 Compared to a game like Uncharted, which forces thrills down your throat, Gone Home is a refreshing change. It’s unapologetic about what it is. It’s a house to explore, and a story to uncover. And that’s it.